he would stay at his stepdad’s flat, encountering many techno warriors from far and wide. Here, they would find their refuge after a night behind the helm at the infamous Ultraschall, founded and run in ‘94 by Dario’s stepaunt, Dorle and her man DJ Upstart, among others. After turning 15 he got his paws on a mixer and a set of Gemini turntables. Subsequently, his passion for playing music (and disturbing the peace) took flight. As the young cub matured, his nocturnal nature lead him to goa trance gatherings and other such tribal ceremonies. Coming home to meet mystical gurus like L.A. Williams, Jay Denham and Shake Shakir served only to ignite his burning curiosity for underground electronic music. 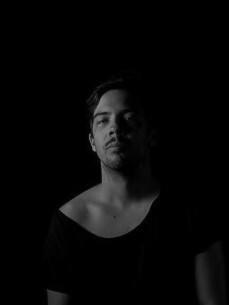 After receiving his first techno record from Shake at 16, (having woken to him listening to his stepdad’s Beatles records in the living room) his techno quest began.